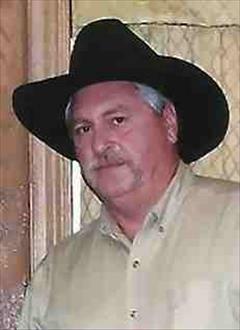 Bruce Allen Smith, a resident of the Graham community, passed away on Tuesday, September 11, 2018 at his home in Graham at the age of 62. Bruce was born February 8, 1956 to Willis Smith & Sarah (Riley) Smith. He grew up in the Graham community and was still a proud resident of the area. He attended Graham High School twelve years and graduated in 1974. After high school he received a degree in auto mechanics from OSU Tech in Okmulgee. On July 27, 1976 he married Vicky Crowden in Dustin, Oklahoma. They were married those 42 years until his untimely death. Bruce and Vicky's two children also graduated from Graham High School. He served on the Graham School Board for several years. Although Bruce loved living close to home he made many friends and influenced people miles away. Bruce was a Creek Citizen and served on the Muscogee Creek Nation Council from 1994 until 2002. He also managed the Creek Nation Dairy in the 1980's south of Dustin. His love for serving people led him to serve on committees and boards over the years including the Dustin Indian Community Center and he was a member of the Plainview Volunteer Fire Department Board from 1996 to the present day. While working for Hopkins Propane Co. in Eufaula, Oklahoma he decided to run for Okfuskee county Commissioner. He was elected and served in District #3 from 2007until his death September 11th, 2018. Bruce was looking forward to retirement in December so he could spend more time with his family and continuing to work on his farm and raising cattle. He had recently become a member of the Okmulgee County Cattleman's Association and was excited about another group of new friends. Bruce's greatest tribute to this world was the love he had for his family, his strong values and his acquaintances. He is preceded in death by his parents Willis & Sarah Smith, his mother and father-in-law, Virgil and Bonnie Crowden, a sister Barbara Smith, a brother, Bryon Smith and a good friend, Tim Fife. As well as a host of friends and other relatives. Pallbearers will be Billy Dover, McCoy Joslin, James Yandell, Weldon Williams, Ben Cunningham, & Danny Chaffin. Honorary pallbearers will be Bill Elliott, Ken Joslin, James Newman, & Jerry Mead. Viewing for Bruce will be from 6-8pm on Thursday and 8am -8pm on Friday at Integrity Funeral Service. Funeral services are scheduled for 10:00am, Saturday, September 15, 2018 at Integrity Chapel with Casey Marks officiating. Interment will follow in New Sonora Cemetery under the direction of Integrity Funeral Service of Henryetta.